JOHNNIE WALKER BLUE LABEL, the leading luxury blended Scotch Whisky, partners with award-winning Illustrator Victo Ngai to launch its Hong Kong exclusive ‘Pioneering Cities’ Limited Edition. Visually powerful, the limited edition 70cl bottle celebrates Cantonese opera and Hong Kong’s iconic symbols. As a Forbes Art & Style 30-under-30 honouree and New York Society of Illustrators two-time gold medallist, Ngai’s undeniable talent gracefully transcends onto the new Johnnie Walker Blue Label bottles – tastefully adding to the already rare collection of the brand’s limited edition family. 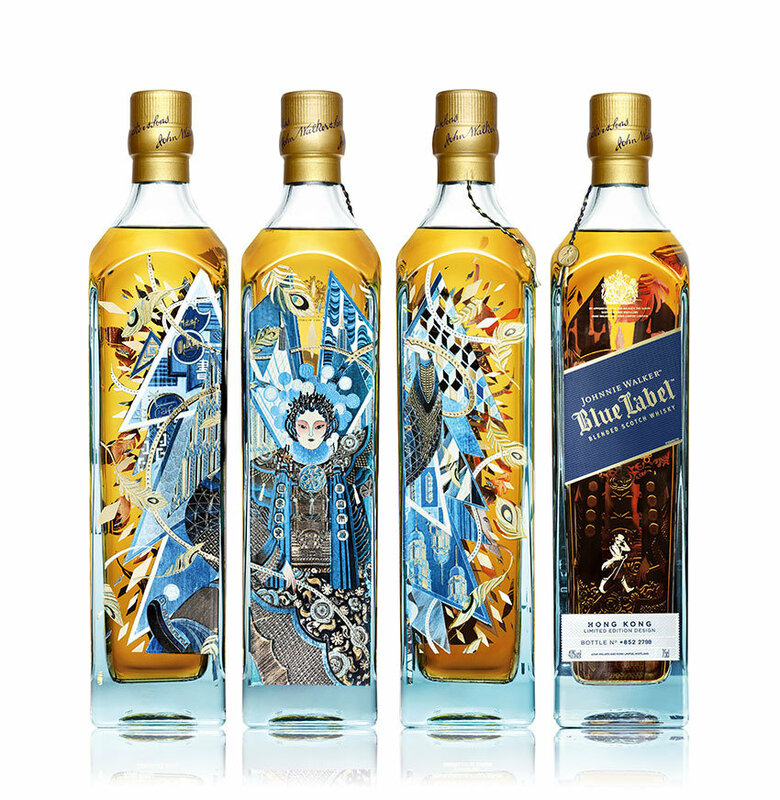 The Hong Kong raised and now Los Angeles based Illustrator uses her upbringing to tell an ocular story, translating this into an unrivalled bottle-artwork masterpiece, while celebrating the rare and exceptional qualities that makes Johnnie Walker Blue Label truly incredible. Every bottle possesses its own serial number each starting with Hong Kong’s area code ‘852’ followed by a four digit number (Eg. ‘852-0001). A very special limited edition, it will be available only for the Hong Kong domestic market. Moreover when placing four of the unique glass bottles side by side, the complete set acts as a canvas that unfolds a stunning and vivid visage of this cosmopolitan and progressive city, Hong Kong, whose very heart beats to the ‘Keep Walking’ spirit of Johnnie Walker - a historical city and whisky brand alike. PRICE INCLUDES FREE DELIVERY IN HONG KONG!